‘The Dutch charity organization Mensen in Nood (people in need) hits the streets with a remarkable campaign. People in need are posing with the typical attributes of consumer culture. 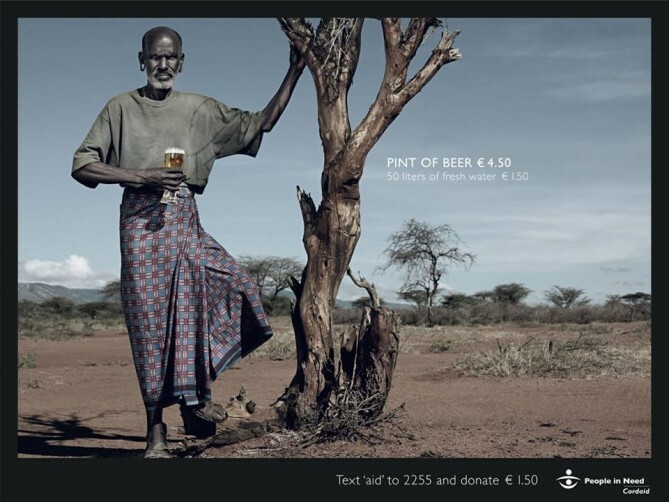 Cordaid, an international development organisation based in the Netherlands, won awards for outdoor advertising grappling with global poverty. The Cordaid organisation is structured around four programme sectors: Participation, Emergency Aid and Reconstruction , Health and Well-being and Entrepreneurship. The Cordaid campaign was developed at Saatchi & Saatchi, Amstelveen, by creative director Magnus Olsson, art director Tim Bishop, account supervisor Ard Krak, advertiser’s supervisor Alexandra van Nieuwenhuyzen, and photographer Calle Stolze with producer Jan Willem Wiesenekker (By: theinspirationroom).